Let’s make a slideshow with wonderful music and effects to make an eye catchy story clip. 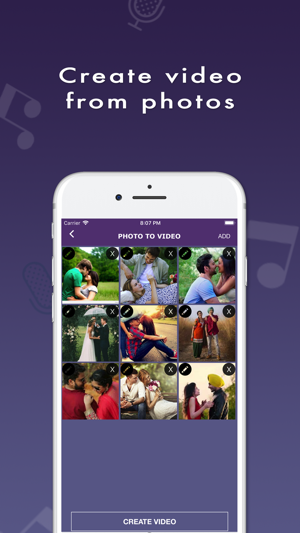 Steps to follow pick up video, add music, apply effect, adjust time duration and save in your phone. All in one feature are available in this app. 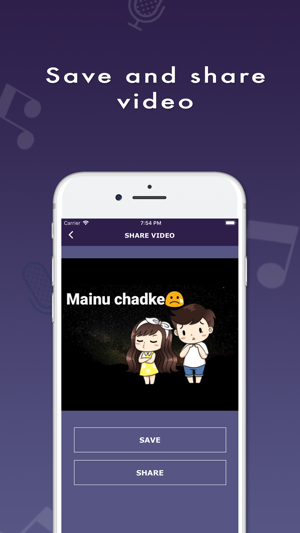 Easily Create a Video with Video and Music from your recorded video clip. Movie Maker has a feature to Crop your video to remove the unwanted area part in it. Use latest features tool for applying in the video and make it exclusive status created by myself. Make amazing and attractive status from your own videos to make stories for social media platform to share your feelings. Select Video from phone library for making creative status for story. Choose the clip of your own, friends, kids and family to make him or her special with creating video status. Cut the video part of the scene which you want to make visible and extra clip will be cropped. Also Trim the Music size to keep particular length audio track to want in it. Select the Filter from the given option to apply in the status story such as Hue, Noir, Blure, Clamp, Linear, Tone Curve and many more. Add Background Music from your own music library in video slideshow related to it in just a minute. Pickup Music from Library and recorder audio mp3 clip to set in the My Music Video Status 2019. Save & Share Created Video on your favorite Social Media Apps. 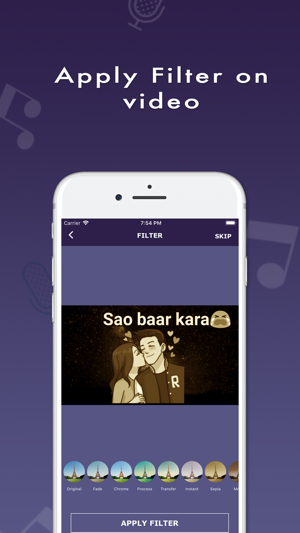 Remove some seconds or minutes song to adjust your much loved song lines in the Movie Video Editor. If you do not want to use any facility than just click on the skip option. Short Video Generating app to make own status. 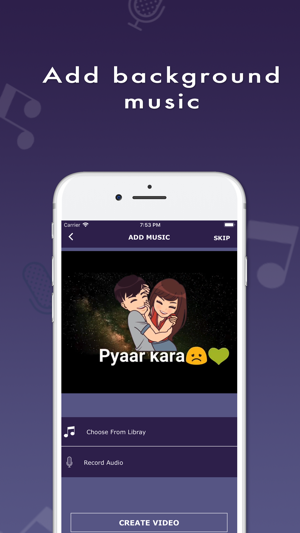 Change or Add Song to Video by using this My Own Music Video Maker App with latest features. Video slideshow editor app in which one can decide the audio part. Be stylish and make movie of your own preference now. Edit videos with new effects and filters and share with all. 2019 Video Status Maker with My Own Music Song and Apply Cool filters of your choice. Make your personal videos impressive and express your mood thoughts with it. Give Background Song in Status Clip. 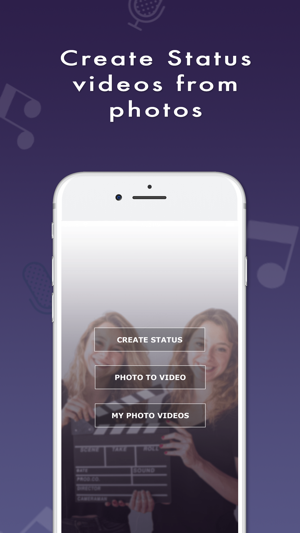 Easily Save and Share your created video with your friends and relative. People are very much busy in life and have no spare time so this app is best to make status in few minutes of your style and color combination.